Use the links on the left side of this page to access our entire product catalog for Crystal Soul Lovers: Elastic Bracelets, Mantra Beads, Macramé Bracelets, and Especially for Children – or browse through our featured Elastic Bracelets shown below. Crystal Soul Lovers contain unique combinations of crystals, hand selected for their healing and self help attributes. All crystals contain latent attributes, but it takes Unconditional Love Energies to fully activate attributes. Crystals infused with Unconditional Love Energies evolve into Teraphim whose attributes heal and help human bodies. It is now a proven scientific fact, attributes in atoms of a Super Normal Crystal contain one extra unit of Love Energies and sing songs that heal human bodies. It has also been proven attributes of a normal crystal’s atoms missing one unit of Love, sing discordant songs that sicken human bodies. 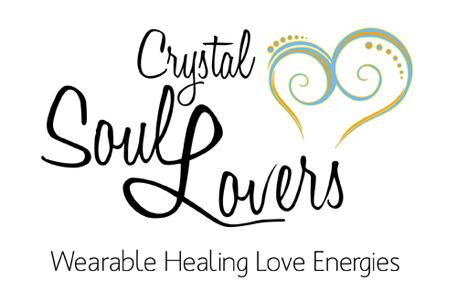 Attributes in the atoms of our Crystal Soul Lovers contain extra units of Unconditional Love Energies from two ancient ceremonies, thus our Crystal Soul Lovers are literally “Wearable Healing Love Energies”. We donate 10% of the sales price from each Crystal Soul Lover sold to help feed, educate and create a Love Energized environment for 1,300 destitute children in Africa who live with 40,000 other people in a violent crime ridden “informal settlement” of 7,000 shacks made from corrugated tin salvaged from trash dumps.